Now, I have no career to speak of, I have few assets, virtually no cash; I have no wife (though I do have a nonplussed ex-wife), and no children. I’ve lost 90% of my wealth and have blown up a business (that employed over 70 staff, and left many creditors, owed millions in its wake). This is a riches to rags story. It’s a story seldom told. I have no ‘home’. I frequent London, Sydney and Manila, but these places aren’t my ‘home’. I was born in UK, raised in NZ, and have spent time since, in 38 other countries. I have no place of ‘belonging’, but neither do I crave for this. I have a loving tight nuclear family, of just my mum and my brother — they’re both in Sydney. 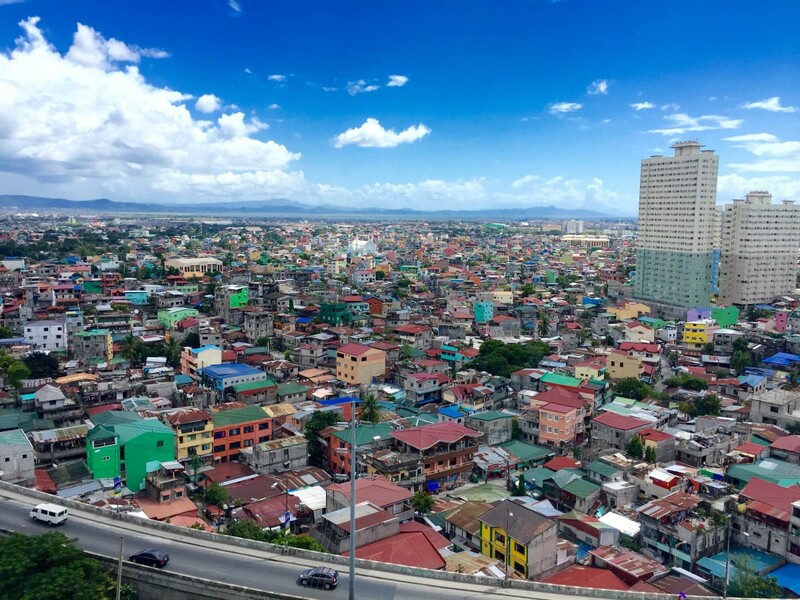 I’m sitting in Manila, Philippines, as I write this. It’s a dense a humid city, home to 22 million people, where poverty and corruption is commonplace — an unusual place for most to consider home. I am Derek Gallimore, and I’m a few months away from turning 40. For me, 2015/2016 was tough. In just over 18 months I navigated the stormy seas of a divorce; collapsed a business; sold all my investment properties — lost all the proceeds; and ruptured a disc in my lumbar spine (losing most function in my leg). 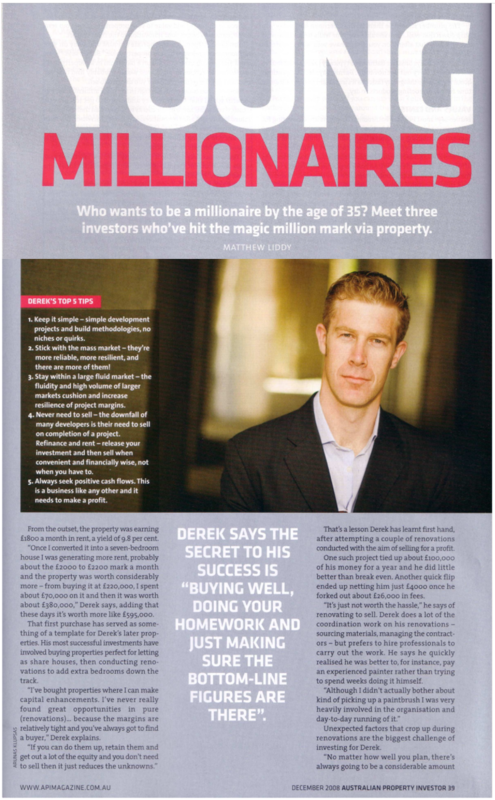 A few months prior, it was an exciting rags to riches story. I was never poor, but I had a VERY ‘working class’ upbringing. Home was a small town of 100,000 people in New Zealand. I went to a very ordinary school, studied an ordinary subject, and was surrounded by people that had very ordinary aspirations. What was to become of me? I was on a predetermined trajectory of Life: O-R-D-I-N-A-R-Y. There’s absolutely nothing wrong with that, but I had different plans. I rejected ordinary. I opted for the path less trodden. One of my most ardent guiding principles is to live a “life less ordinary”. Benjamin Franklin is (mis)quoted as saying ‘Most people die at 25 and aren’t buried until 75'. Hear, hear! Under-utilising this incredible gift of life, is one of society’s most common abuses. But this wasn’t the extra-ordinary i was hoping for. My Dad wisely cautioned me: “Laugh and the world laughs with you, cry and you cry alone”. Life is a roller coaster — especially that of a committed entrepreneur. And I’m now firmly at the bottom of this roller coaster ride. This will make a fantastic story, IF I make it back… IF I go from rags to riches, back to rags and then onto riches, this will be a superb tale. Now though, it’s not a superb tale. It’s just a disaster. There’s a profound ‘survivorship bias’ in media. You only hear of the successes in life — this is especially true with business and start-ups. You hear of the unicorn companies, their Champagne-stocked canteens, and ping-pong-tabled recreation spaces. Of the CEOs, you hear of their mediation practices and their puritanical pursuit of passion. You rarely hear of the failures. And you very rarely hear of the “John did a commendable, but average job” stories. A gambler will always talk and glorify of his wins, and very rarely talk about his losses. Ben Horowitz wrote a brilliant book, The Hard Thing About Hard Things. It depicts a rare anti-establishment perspective of the Silicon Valley start-up scene. He takes us through his personal journey of start-up hell. He plainly argues and demonstrates that start-ups are hard and will steal every last drop of your life and vitality. Brené Brown famously discusses vulnerability. Her TED Talk on the subject is one of the most watched talks of all time (37m views!!). She espouses that paradoxically strength comes from vulnerability. And so, in line with her theory, she proudly talks openly of her hang-ups. However, this is also a little fabricated… She talks of her vulnerability, for err… 3 minutes. But then goes on to discuss the strengths and successes as a result of that vulnerability for the next 15 minutes. Is it really a vulnerability, if the vulnerability is just a convenient segue into the success story? My story has no silver lining. My company collapsed, it took 90% of my personal assets with it, and I’m still looking for that silver lining. I’ve got a lot of vulnerability going for me, but little Brené-esque upside to show for it. But… why write my story now? Shouldn’t I just wait until I’m at the top? Is anyone really interested? I have lost everything — so what? And I’m also writing this to clearly mark the bottom of my roller coaster ride. It’ll make the ascent so much more glorious if I had the strength to properly confront the ‘bottom’ when I was there. It’s a lot easier to do a post-mortem analysis of being at the bottom once you’re safely back at the top. It’s pretty painful to do that post-mortem when you’re still there. I craved for more. I really didn’t know what existed in the world, but I lived vicariously through TV representations of success. My boyhood totems of achievement were the brace wearing Wall Street bankers, and their brash wheeler-dealer lawyers. I was told that I wasn’t bright enough to ‘really move the needle’, and so to be safe, I should just play it safe… Studying law, medicine, finance were topics that should only be pursued by people more intellectually furnished than I. Aim too high and I could fail, so I should just try and secure that middle class existence. So, I broke out. I didn’t know what was out there (except for what I saw in TV), but I was hungry for more, and was motivated to reach beyond what was on offer. I left my home town at 18. I went to Sydney, Australia — which for me was the Big Smoke. For me, this city was MASSIVE. I worked there for 2 years, but was desperately seeking opportunities to break free of my ‘working class’ shackles… I was desperate to be that Wall Street guy, and I was thinking, planning scheming, trialling business and plans on that basis. In retrospect that was my luckiest break. It wasn’t that Sydney was the answer, but just the fact that I ‘got out’, made a massive difference. In Sydney, I desperately tried to break out of my existing depressingly mediocre career path. I desperately scoured job agencies, and applied to be employed within the lowest ranks of an office environment — a secretary, admin clerk — anything. I just wanted to get into an office environment, from where I thought I could work hard and climb ranks. I would have been taking a pay cut of 60% to do this, and doing simple work, but I craved the opportunity. But I never got those jobs. I never got invited back for interviews. Maybe this was a good thing, maybe a bad thing?!? I was so determined though, and I had huge insecurities of something “not happening”. So, I was always planning, scheming, always searching hunting, looking. Life was never easy for me, and I’ve always seen myself a fabulously mediocre. But looking back, maybe I’ve done okay. I was okay at school, never great. But I managed to finish high school a year early, and then blitzed through university, meaning I graduated with my degree at just 19. In the meantime, I weirdly took up bodybuilding, and by 18 I was the National teenage bodybuilding champion (I was the cliché super white skinny kid to start). And when I was about 17, I was one of the country’s youngest personal trainers, at one of the country’s most prestigious gyms. Since leaving home at 18, I’ve always lived a relatively rich life. I spent 2 years in Sydney, and earned reasonable money. So, I headed over to London. When I got there, I was 23. I had no connection to the UK despite it being my birthplace, but I did have the passport which made staying easier. By then, I was super hungry to ‘make it’ and I felt my years were passing me by without any foundation. Then, I saw an opportunity, so I pounced. Within 9 months of arriving in London — I had purchased a house. I managed to do this having come to the country with only my back-pack and an empty bank account. I convinced someone to give me a mortgage, despite having no credit rating, the smallest deposit and only a temporary contract job. I had worked really hard to get this deal done, and I really deserved it. But I was lucky in that I caught the tail end of a property boom. Soon after this first purchase, I bought another property, and then another property after that. Before I knew it, I was into property game. I was hungry and aggressive, and made sure that I learned everything I could as quickly as I could. I worked hard, and invested everything I could. This was my big break, and i wasn’t going to take it for granted. By 26, I was starting to pull away from my predetermined path in life. I had several properties and property developments to my name. I had appeared on a very popular house renovation TV show in the UK, and things were looking great. I was on a roll. By then, I suppose, I was a fully-fledged “entrepreneur”. BTW, I always shy away from the ‘entrepreneur’ label. I love the concept of entrepreneurship, but I think the noun is a conditional one. If you’re successful then you can call yourself an entrepreneur. If not, then don’t. It’s a bit like an out of work model, isn’t really ‘a model’. Naomi Campbell is a model. The pretty girl working at McDonalds trying to support herself, isn’t. By my late twenties, I had appeared on TV and in magazines. I had become a small, but respected businessman. And I had a net-assets tally which earned me the lauded millionaire status. Then 2008 happened — the global financial crisis. This was an incredible thing to live through. The biggest recession ever, and one where sophisticated commentators were seriously debating whether the entire global financial system would collapse. I was luckily safe from this. I kept all my properties and was hardly affected. BUT… The banking system was all but shut down, so I was unable to keep doing my highly-leveraged property development. So, I went looking for more opportunities. Using my property background as a launchpad, the opportunity appeared to develop a business providing “serviced apartments”. The thing is… Airbnb didn’t exist back then and no one was really familiar with the concept of short-term apartment rental… This was a freaky concept in 2008/2009, and we were the bold disruptors in the space… We tested it and it worked, and so we decided to roll it out. For a six-month period one year, I was waking every morning at 4.00am to drag myself into the office. I’d work until about 6pm, but then be taking extra calls and meetings well into the evening. We expanded quickly, and it was scary, exciting, and compulsive. The magazine articles and TV interviews continued. It was a heady ride. Fast forward 8 years and we had built the company to about USD20m annual revenues, with 70 staff (spread across two countries) and 220 apartments (worth over $165m) under management. Once we were as unique as a snowflake, but by 2016, we were just a commoditised apartment supplier. By 2016, Airbnb was everywhere. Hosts were everywhere. 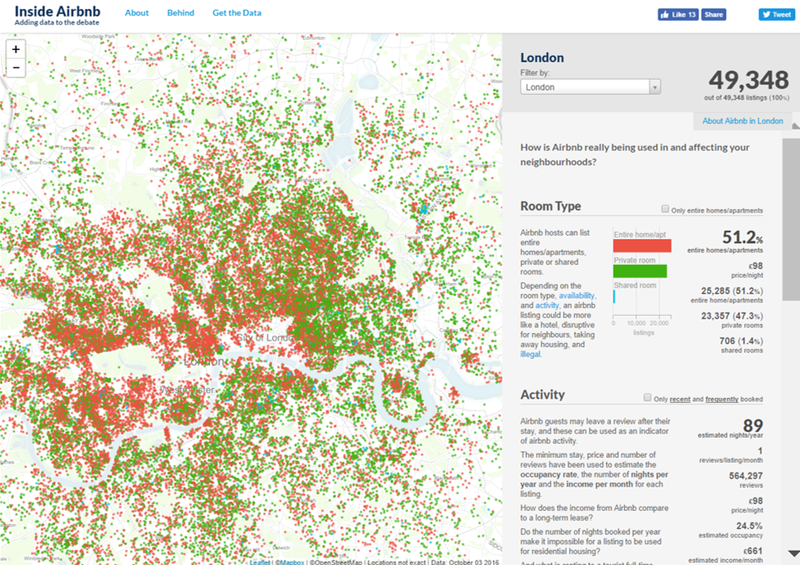 In London alone, there are 50,000 Airbnb listings. To put that into perspective, London has been around for 2,000 years, and one of the world’s leading cities for most that time. So, consider that there are 150,000 hotel rooms in London to date. It has taken 2,000 years of slow growth to get to that number of rooms. Now compare that to Airbnb, which has introduced 50,000 new rooms to the London market in about 5 years. They increased the supply by 30%, in a fraction of time. As the supply of apartments rocketed up, our nightly rates came crashing down. As a guide our nightly rate dropped by almost 50% (in proportion to the lease price we paid). Margins became tight, and things were bleak. This period was a nightmare for me. The last 18 months of the company life was a soul-destroying journey. But I always had reasonable optimism that we could strategically manoeuvre out of it. There was always a glimmer of a light at the end of the tunnel, so I continued to double down, and work harder. But times were hard, and morale was low, and it was basically absolutely horrible. It almost brings me to tears as I recount the continual stress and negative energy that I dealt with throughout that period. Towards the end, I sold all my properties. I liquidated everything that I had built prior to this company. I sold my properties at fire sale prices, and sunk all the proceeds into the business. Within 9 months, it was all gone. During this time, I made a realisation: It is easy to work hard when things are going well. With a success story, 16 hour days are tough, but there’s good upside to it. But, it’s hard to work hard, when your ship is sinking. It is so incredibly hard to drag yourself out of bed early when the news is grim, the office is miserable, and everyone fears for the future. But I did this, and I did it day after day, month after month. But eventually, the company couldn’t survive any longer. We had to close the doors. This was maybe the hardest month or two of my life. There were many creditors, and we left many guests without accommodation. I feel so utterly ashamed of this. So disgusted in myself. I am incredibly sorry for the people that were affected by this. Until the very end, I tried to do the best by everyone. My singular focus was to keep the business going, and to find the best resolution for this. I was looking for a sale or merger, and by the end I was offering the company for only £1. I was determined to make this work. 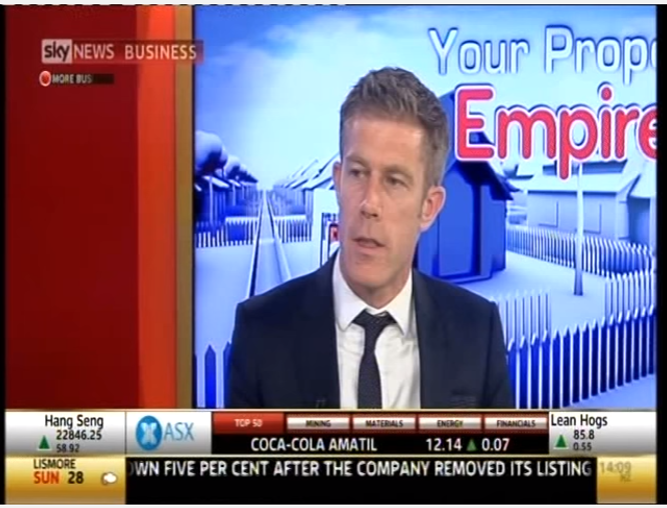 I had good reason to think that I could rescue this business and I gave it my 110% commitment until the end. I collapsed a business. Derek Gallimore was a sham, a phony, and a failure. I was doing my best to bail out this ship. Serve its creditors, guests, staff and stakeholders. But it sunk me. Warren Buffet famously said “It takes 20 years to build a reputation and five minutes to ruin it. If you think about that, you’ll do things differently.” Unfortunately, I think about that every day. I built my business career over twenty years. Within one year, I had not only lost my reputation, but everything else with it. I only blame me. I believe that we only ever have ourselves to blame. I can spend hours discussing market conditions and contributing factors, but at the end of the day, I was at the helm of the ship. And under my watch, the ship ran aground… I look to the infamous example of Kodak as confirmation of this. Kodak was once one of the most powerful brands in the world. It chose not to embrace digital photography. In fact, it invented and patented one of the first digital cameras, but then buried it deep in its archives to protect its existing business. Sure, digital cameras came along and destroyed their industry, but they were in control of their destiny, and they took the wrong path. So, I am 100% blaming myself. And this is so hard to deal with when there are creditors, guest and staff to consider. But I did the best I could, and I acted with full awareness and full dedication to all my legal obligations as a director. I console myself that even Warren Buffet makes losses. He invested in some Wall Street Banks, and as he says, “got handed his head on a plate”. So, I console myself that not everything goes well. And this is the journey of life. Just like a spring garden, when you think all is gone, there appear the shoots of early growth. Signs of life. My father died when he was 64, after a two-year battle with a degenerative disease. I remember vividly in his last winter, he spoke of his personal ambition to see the coming spring. He loved his garden, and for him, to see one more spring was a pretty heady goal. Once my company had liquidated, there was silence. I was exhausted. Then, after a while, like a spring garden, new signs of life and energy slowly appeared. Eventually my psyche repaired, and my mind’s garden was once again bustling with the frenetic energy of a springtime rebirth. It’s funny how goals change depending on your personal situation. When I was young I wanted to “be the richest man in the world”. In my dad’s last year, his goal was to simply make it to spring. Now, as I ponder the future, I have a different sense of what matters to me, and my goals reflect that. Ironically, despite now being at the bottom, and a long way from where I want to be, I’m at one of the happiest stages of my life. Maybe my utopia isn’t success, maybe its peace, health and happiness? But, I’m not turning all tree-hugging hippie. I am determined to get back ‘there’. Determined to earn back the respect of my business community, and determined to prove to myself that ‘this was just a stumble’. Despite being nearly 40, I feel stronger, faster and more energised than ever. And I have a whole raft of business knowledge and experience that I can call upon. This is strangely, a very exciting time. So, the roller coaster is sitting at the bottom if the gully. And this is where this tale ends. There is no happy ending yet. And its uncertain if there will be. So, I’m back asking, what is to become of me? I have recently launched my next ventures. There are three of them!! Three completely different products, but all underpinned by a common platform and back-end. I have proudly launched what shall soon become the foremost independent source of outsourcing information, education and advisory. 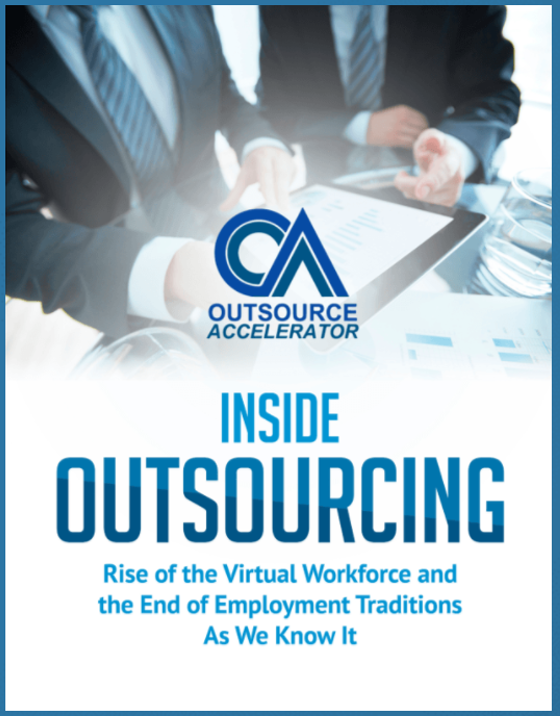 Outsource Accelerator is a comprehensive outsourcing resource where over 95% of the content is completely free. I’m leveraging my 20+ years’ business experience, 6+ years’ outsourcing expertise, and 3+ years’ first-hand Philippines life experience. I believe Outsource Accelerator can add incredible value to people’s business, and I’m super excited about the future. I think Derek Gallimore is back.